The most important thing I learned this week was…. A speaker talks to listeners, NOT at them. When you are speaking…speak to inform, activate, persuade or celebrate. 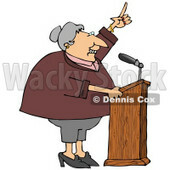 When giving a speech be sure to include gestures, be enthusiastic and make eye contact with the audience. Do not read off of your presentation. Know your information and speak clearly. Click here to check out the textbook!